 The Deer Alliance, originators and administrators of the Hunter Competence Assessment Programme (HCAP) since inception in 2005, will hold its first Advanced Marksmanship Course at the Midland National Shooting Grounds, Blue Ball, Tullamore, Co. Offaly on Saturday 28th May 2016. The Advanced Marksmanship Course is open to HCAP-Certified candidates only and is comprised of a three-position fifteen-round course of fire over 100 metres, supported by lectures & demonstrations in the safe use, handling, care & storage of firearms, including practical demonstrations of zeroing the rifle. Successful candidates will receive a Certificate of Special Competence in Marksmanship. The new course will be offered on a limited pilot basis only in 2016 and entry will be restricted to the first thirty applications received. Cost of participation for the one-day course is €100.00. Application and payment can be made online through the Online Applications section of the Deer Alliance website. An Application Form can also be downloaded from the website for submission by post. The target used will be the standard HCAP Deer Target, with all fifteen rounds to be placed accurately inside the Heart & Lung killing zone on the target. Five rounds of deer-legal ammunition (not supplied) will be fired in each of the three positions – prone, kneeling/sitting and standing, all shots rested. All legitimate stalking aids can be used e.g. bipods, tripods and stalking sticks. The Advanced Marksmanship Course is designed to test the shooting skill of the experienced hunter and will mark successful candidates out as possessing exceptional skill in marksmanship for the purpose of safe and efficient and humane control or wild deer. The closing date for applications is Friday 6th May 2016.